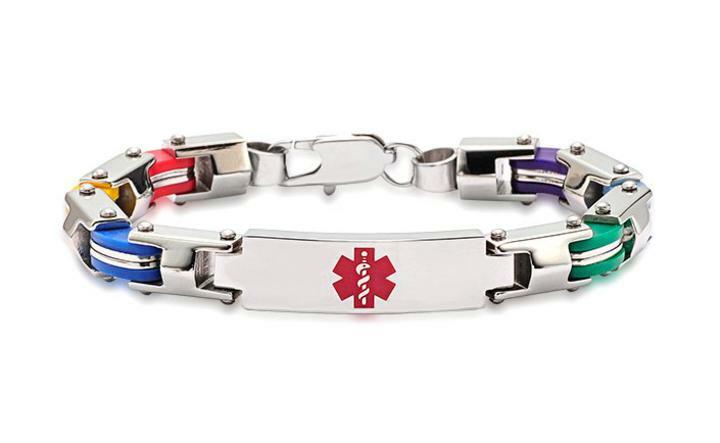 Our awesome Stainless Steel Six Color stylish, creative and fun medical id alert bracelet is adorned with six unique color accents including; blue, yellow, red, green, light blue and purple. Great for men, women, teens and some older kids. Engraving is done on the back of the medical alert plate with up to 3 lines of engraving with up to 15 characters to each line.